I’m extremely excited about the new Unity3D Machine Learning functionality that’s being added. Setting it up was a little painful though, so I wanted to share the steps I followed, with the specific versions that work (I tried a whole lot and nothing else worked). In this guide, I’ll show you everything you need to get setup and ready to start with the 3D ball example. There’s also a video version at the end..
You’ll need to download CUDA 8.0.61 for this to work. You’ll need to create an NVIDIA account and log in to download the library. It’s easy to do and free though. Once you’re logged in, click the download button. Open the cuDNN zip file. Copy the 3 folders (bin, include, and lib) from the zip file into your CUDA 8.0 folder. Now you need to add an environment variable and two path entries. Make sure you select the System variables version, not the user variables! Add the following two folders to the path. Click Ok a couple times to close out the dialogs. Next, we need to install Anaconda to configure our python environment. Download the 3.6 version (I went with the 64 bit installer, not sure if it matters but I’d go with that one). Run the Anaconda Installer and choose the default options all the way through. Next, we need to create an environment with python 3.5.2. You can download the zip or use GIT and clone the repository. Next, open another anaconda prompt as an administrator. Change directory into the ‘python’ subfolder or the location you cloned or unzipped the project into. For example, my folder is: C:\Git\ml-agents\python because I cloned the repository into my c:\git folder. Now type: pip install . Make sure you include that period, it’s part of the command. 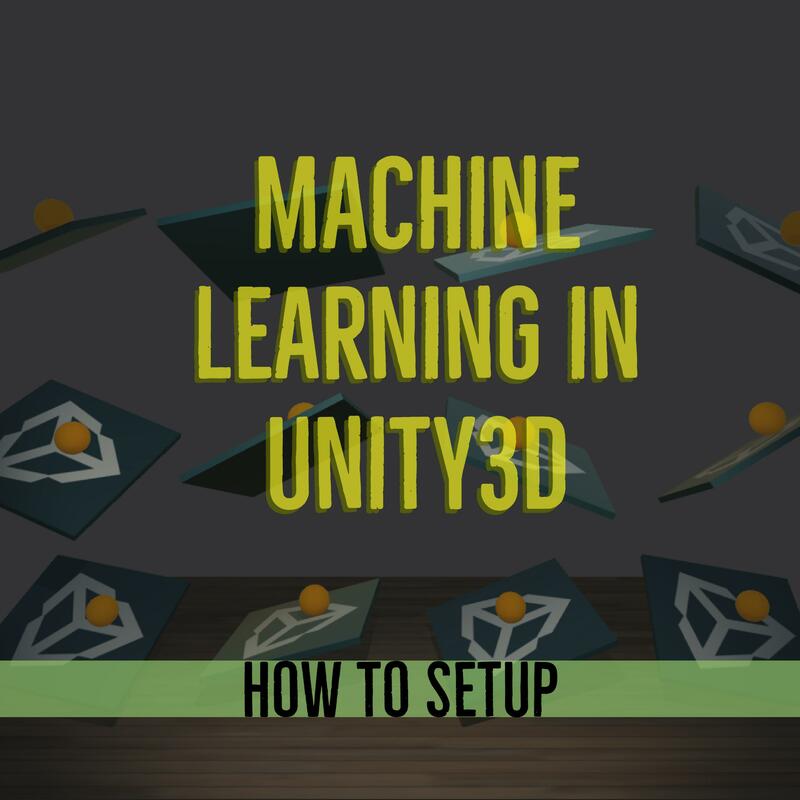 If there are no errors, you’re good to go and ready to start setting up your Unity project with tensorflow and machine learning! One issue I ran into though was the ENABLE_TENSORFLOW define being cleared out after I installed the tensorflowsharp library. When this happened, the “Internal” option disappeared. Simply re-add it and hit play so it re-compiles, then the internal option should re-appear. First I wanted to say thanks to the guys at Unity for building this all out. I’m excited to start integrating machine learning into projects for my AI. I also wanted to thank Nitish Mutha for this awesome blog post that got me 90% of the way through this setup.